Sanlam Collective Investments has teamed up with Striata, a software developer and e-billing specialist, to deliver statements and other communications via email. Instead of delivering paper statements to its clients, Sanlam Collective Investments can now deliver electronic documents, which can be viewed with a simple click of the mouse. Established in 1967 as a full Sanlam subsidiary, Sanlam Collective Investments manages funds totaling more than R37 billion on behalf of more than 200 000 investors. The implementation of the Striata eBilling Suite was not without its challenges. With Striata based in Rosebank, Johannesburg and Sanlam in Bellville , Cape Town, the geographical obstacle was further compounded by an extremely tight deadline. However, according to Alison Treadaway, Director for Striata SA, the project was successfully completed in record time. “The eStatement setup was one of the fastest and smoothest project builds we have done. This can be attributed to a highly professional and dedicated project team, who worked well together, despite the distance,” says Treadaway. Sanlam Collective Investments required Striata to provide an eStatements solution for its Unit Trust statements. Using the Striata eBilling Suite, a PDF formatted statement was developed. The statement is encrypted and compressed using Striata Encryption. “The Sanlam Collective Investments team is very happy with the management and results of this project, and the feedback from our investors has been positive. In line with Sanlam’s ‘Thinking Ahead’ strategy, we see email statements as one of our most important initiatives going forward,” concludes du Toit. 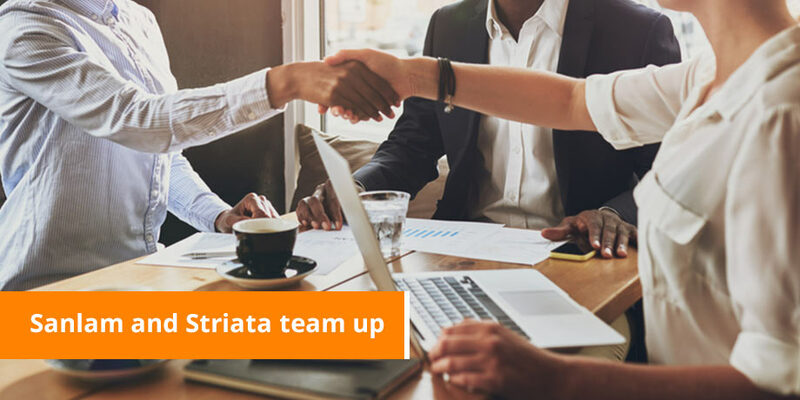 Before initiating the first statement run, Sanlam Collective Investment’s client service agents were trained by Striata to assist investors with the download of the Striata Reader, and with any issues experienced when opening and reading the statement. Sanlam Collective Investments also piloted a direct marketing campaign to existing investors through Striata. The campaign enabled email recipients to top up their investment amounts directly from the email in a simple two-click process. Sanlam’s initial run of eStatements was to 33,000 recipients, and this is expected to grow with the assistance of marketing awareness campaigns. The rich reporting capability of Striata’s eBilling suite allows Sanlam Collective Investments to monitor the deliverability of its statements and to update its investor specific information when necessary.